We’re already partway into the year and summer couldn’t come sooner, which is why we want to help you get prepared for those ever-so-rare Indian summer days that Britain gets to enjoy every now and again. Whatever the size of your garden, there is a range of funky garden furniture available that you can customise your outdoor space with, from patio tables and chairs to luxury sun loungers and BBQs that will allow you to create an outdoor living space and enjoy the best of the British summer. Find out more about choosing garden furniture and browse our sourcebook of top garden suppliers for even more shopping options. You’ll need to take into consideration the size of your garden before choosing what furniture is right for you. Large wooden furniture will be heavy and hard to move, so once it’s in position, it’s unlikely you’ll want to be moving it around again. You’ll also need to consider its maintenance and what you will do with it in the winter months. Using a preserve on the wood each year will be necessary to keep it looking good, and you may wish to purchase a garden cover to keep it dry on those frequent rainy days. If you think your garden will be overwhelmed with large pieces of furniture, then smaller, lightweight metal furniture pieces, such as a metal patio table and chairs, look far daintier and can be easily stored away in the winter, too. Metal is easy to wipe clean and tends to go with any style of cushion you like, which means you can change them whenever suits you. Whether you’re looking for something for summer garden parties or for furniture you can enjoy all year round, our list of the best garden furniture should help you feel inspired when kitting out your garden this year. We also have buyer's guides to the best wooden outdoor furniture, the best rattan outdoor furniture, and the best metal garden furniture. If you’re looking for something bright and vibrant to liven up your garden, then this hanging chair is certainly something different. The unique design is a standalone unit, so there is no installation required, and it is completely weatherproof which means you can leave it out all year round ( apart from the cushions which should be stored indoors). This only comes as one individual chair, so if you’ve got a big household, you may find you’re all fighting to sit in this cool swinging contraption, but smaller households can also benefit from this chair as it would fit nicely on a smaller patio area, too. We also have a buyer's guide to the best hanging chairs. This luxury garden table and chairs set would be suitable for bigger gardens who intend to dine or enjoy drinks outside during the summer. The set comes with two chairs and a bench, allowing seating for up to 4 or 5 people, with a coffee table which is perfect for entertaining around. The set is made from eucalyptus wood which looks modern and stylish but will need to be preserved and covered over during the winter to ensure it doesn’t weather. The set can be placed on grass, decking or patio and the cushions are waterproof should they ever get caught in the rain. Those who don’t have room for a full dining set in their garden may prefer this Metal Bistro Set which is minimalist in design and is small enough to fit on a patio or even a balcony. The steel frame is weighty and durable, meaning it will hold up well all year round, but be sure to preserve it by covering it over when not in use. You may wish to add cushions to the chairs for extra comfort, or leave them as they are for a streamlined look. Take a look at our pick of the best outdoor dining sets. If summer parties and BBQs are your thing, then this large dining table set is bound to get a lot of use. It has a large glass-top table with 6 chairs and 4 stools which allows for a large party to easily dine alfresco. The table also features an umbrella which allows for shade during the day. This dining set is made from rattan which is durable and suitable for keeping outside all year round, all you need to do is store the umbrella and cushions away when not in use. This set is quite large, so smaller gardens may be swamped by it. However, the chairs and stools do tuck away neatly to save space when it’s not being used. As soon as the sun goes down even in the height of summer, the temperature can drop very low but it’s such a shame to go indoors. However, with this chiminea you can keep the party going after the sun goes down as you burn wooden logs to create your very own fire. It is said to give off plenty of heat and looks really funky when in use, just be sure to cover it over or store inside when not in use, and the steel outer weathers and rusts very easily. 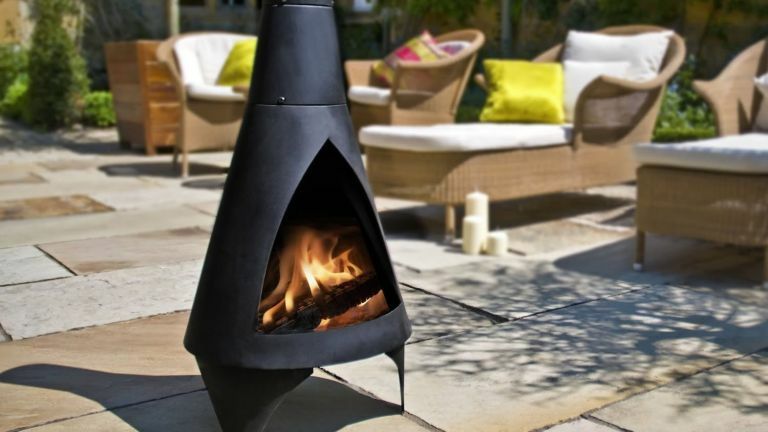 We have the best chimeneas in our buyer's guide. BBQs in the summer are a favourite pastime in Britain, so as soon as the weather allows, this large 6-burner gas BBQ can cook for 8 to 10 people, and we’re not just talking your standard burgers and hot dogs. This device features a griddle and pizza stone as well so you can dine alfresco for breakfast, lunch and dinner if you wanted to, although admittedly it can be a little tricky to clean. Users love its efficient design with several hooks for utensils, a space for condiments and a bottle opener on the side. It has lockable castors so you can be sure your food won’t go running off down the garden slope and this also makes it easy to manoeuvre in and out of garden storage. Take a look at our pick of the best gas BBQs in our buyer's guide. Summer days are best spent lounging around, and this rocking sunlounger from John Lewis has proven popular among customers for its curved, ergonomic design. Its durable steel frame means it can be left outdoors all year round, the only downside is you may not get many days in the year you can use it due to the unpredictable weather. The lounger features a head cushion and arm rests for extra comfort when napping outdoors. We have more attractive sun loungers in our buyer's guide to the best garden recliner chairs. Give your brand new furniture a worthy surface to sit on with our best lawn alternatives for every garden.